Kittens should be dewormed to prevent future health problems. Worms are common in kittens, but they are fairly easy to get rid of. However, not all worms are the same, and they don't all respond to the same medicines. Before giving your kitten deworming medicine, contact your vet to find out the specific type your new feline companion needs. Depending on the type of worms your kitten has, you may need to use a prescription dewormer. Some prescription medications tackle hookworm, roundworm and tapeworm infestations. Others specifically act against tapeworms, so these are appropriate if that is the only type of worm found in your kitten's stool sample. If your kitten has fleas in addition to worms, your vet might prescribe a combination flea killer and dewormer. Over-the-counter deworming medicines tend to combat only one type of worm. The U.S. Centers for Disease Control and Prevention recommends kitten deworming at 3, 5, 7 and 9 weeks of age to prevent infestations from taking hold. However, many vets wait until kittens are 6 weeks old to start the deworming cycle and then follow a schedule of two subsequent deworming sessions at 9 and 10 weeks of age. 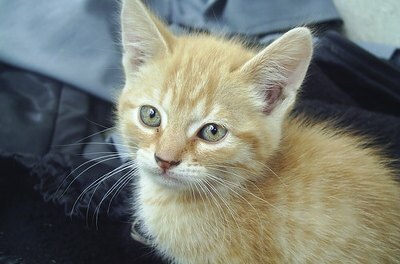 Unlike puppies, kittens do not get worms while in utero or from their mother's milk, so they do not need to be dewormed in the first 2 to 3 weeks of life. 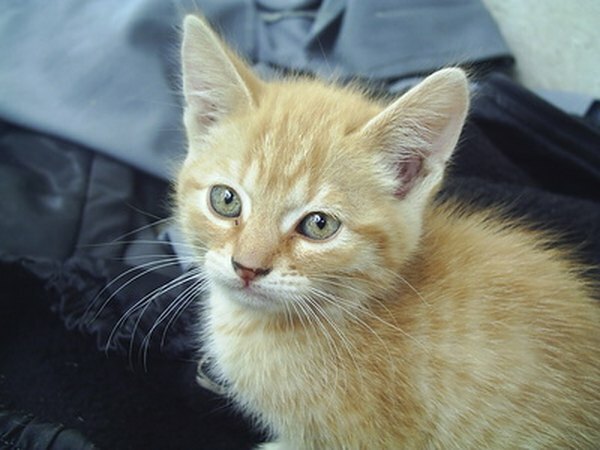 Sick kittens may not be able to tolerate deworming medication, so kittens exhibiting weakness, diarrhea or vomiting may not be candidates for deworming. If your kitten displays these types of symptoms after a deworming session, contact your vet for advice. These could simply be side effects of the medication, but they could also indicate an underlying health problem. If you see worms in your kitten's stool, have your kitten assessed and dewormed as soon as possible. Some kinds of worms can pass from kittens to humans, so you could become infected if your kitten's worms are left untreated. Only use the specific dewormer recommended by your vet and only give the recommended dose. Dewormers can be poisonous if given inappropriately. After you have begun a deworming regimen for your kitten, clean the areas of your home where she spends time in order to destroy any lingering worms or eggs so she won't get reinfected. Continue to have your kitten tested for worms every 6 to 12 months into adulthood so that you can catch any future infestations before they become difficult to manage. Can Kittens Pass Worms to Other Animals? Can Worms Be Treated With the Same Medication in Cats & Dogs?